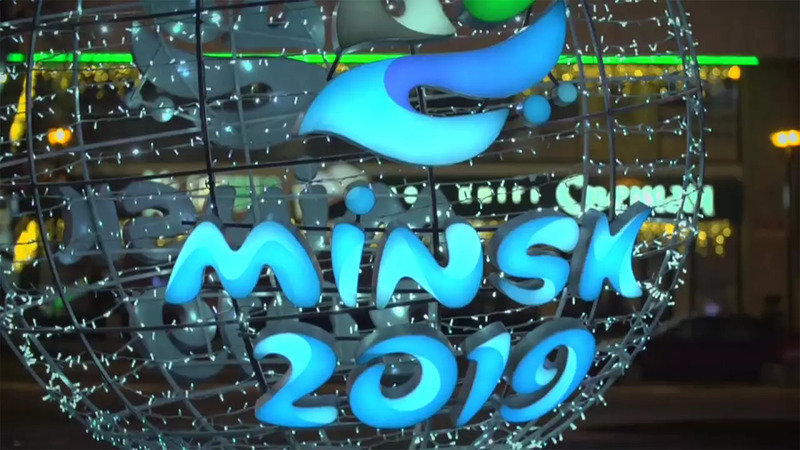 In the latest episode of Euronews' Metropolitans, Euronews reporter Damon Embling visits Minsk – the capital of Belarus – as it gears up to host this summer’s European Games. Thousands are expected to visit the city. But what awaits them? No stranger to big sporting spectacles, the Dinamo stadium previously held football games for the 1980 Summer Olympics (hosted by Moscow). The stadium has been refurbished and modernized with new facilities: "starting from the sports equipment and finishing with the press centre and the lighting system." "We're expecting to have 4,000 of Europe’s best athletes here. Of course, more than 8,000 volunteers will help us to organise this event and a lot of tourists." Former biathlete Darya Domracheva - who has won six Olympic medals - took us on a bike ride through her native Minsk. The cycle path takes us past Minsk's old town – which was reconstructed after World War 2. Domracheva - a European Games ambassador - loves to come here especially in the summer. "All of this area, becomes very alive in the summer, full of young people. Good music festivals and, I think, almost every weekend, there's live music. With beautiful jazz music, classical music. So, it's a very special atmosphere and very nice to spend here warm summer evenings." “In Minsk, you can find a lot of different theatres, cinemas, museums. We have a lot of different arts areas. It's very popular, especially among young people to visit different interesting performances and to create them. And I think you can find something interesting for you."